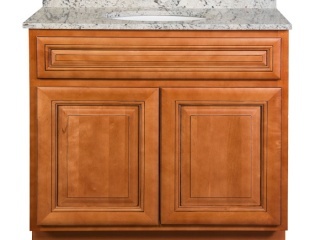 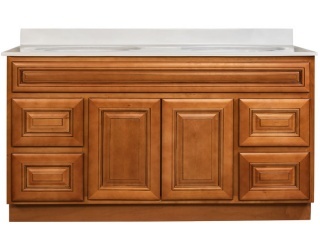 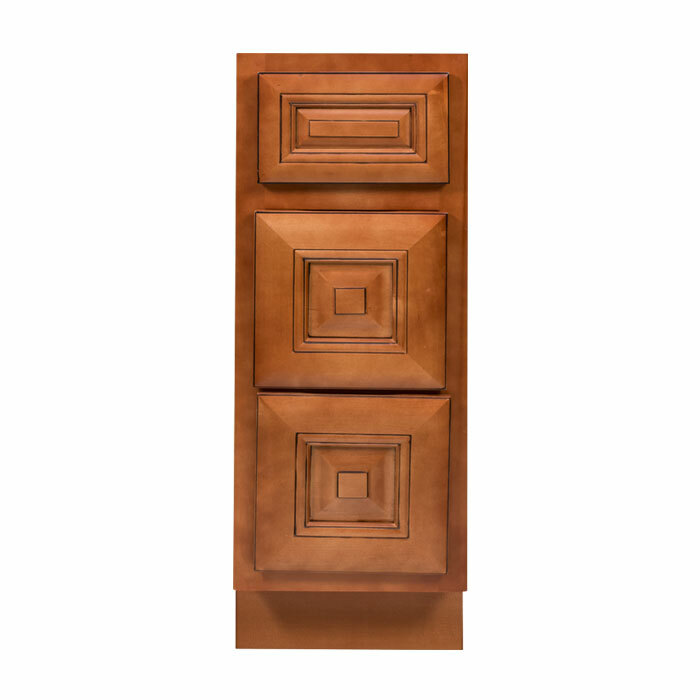 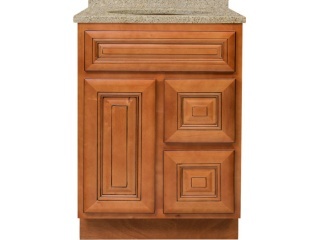 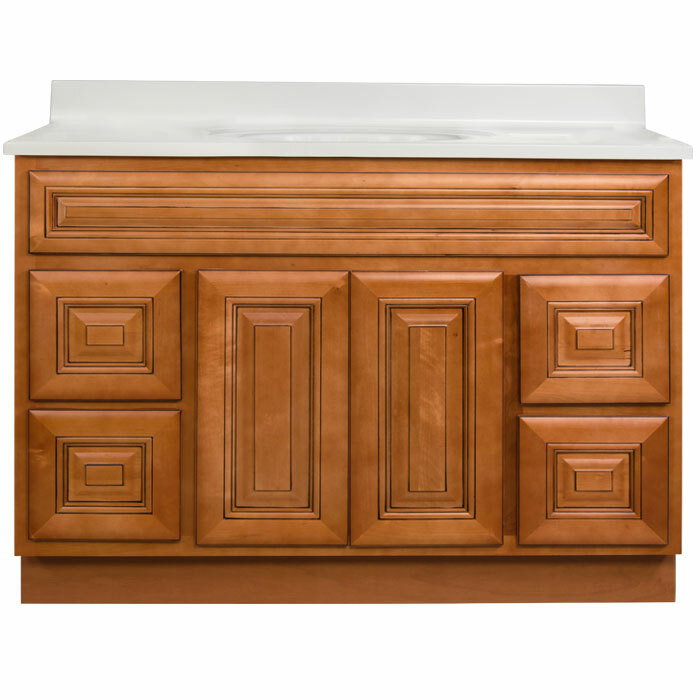 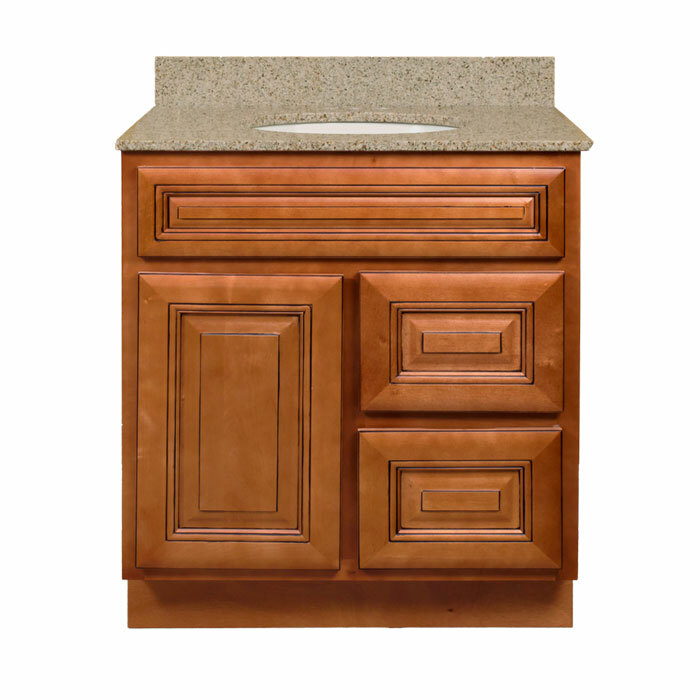 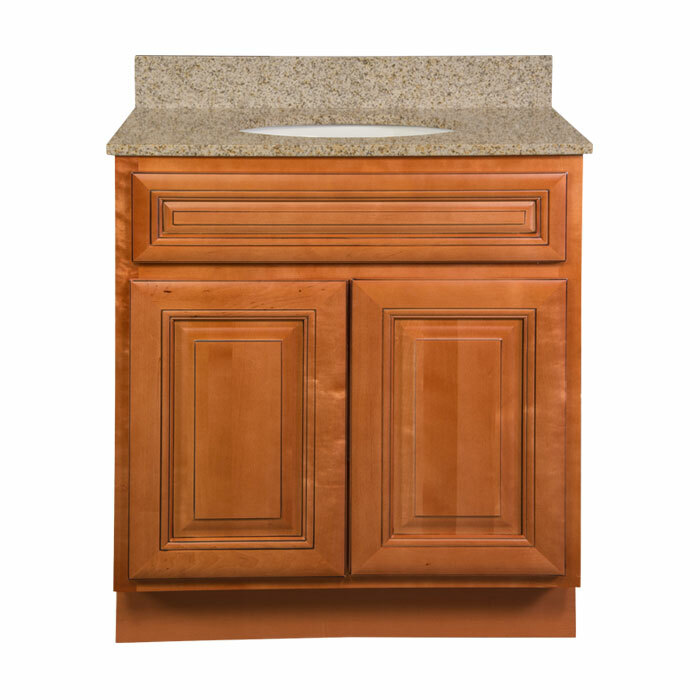 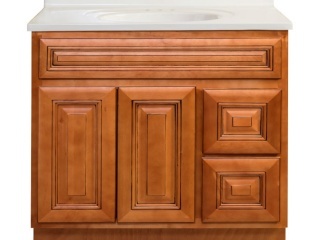 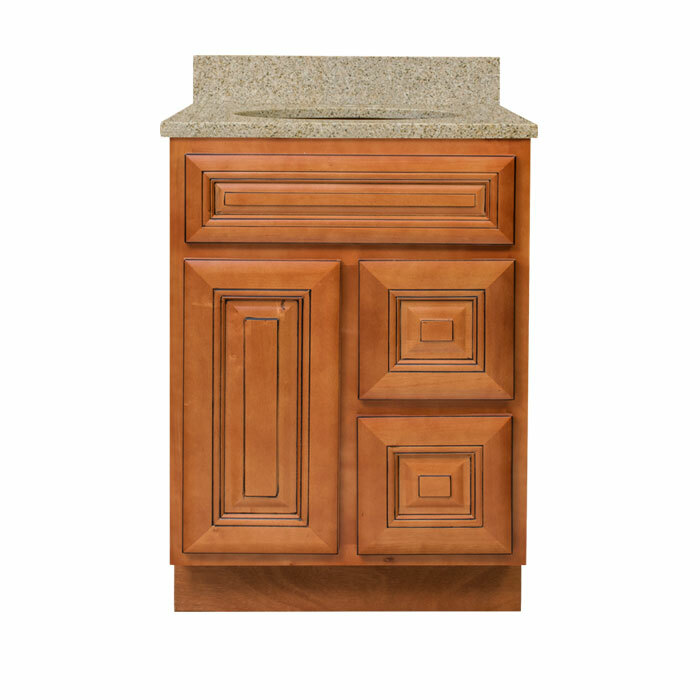 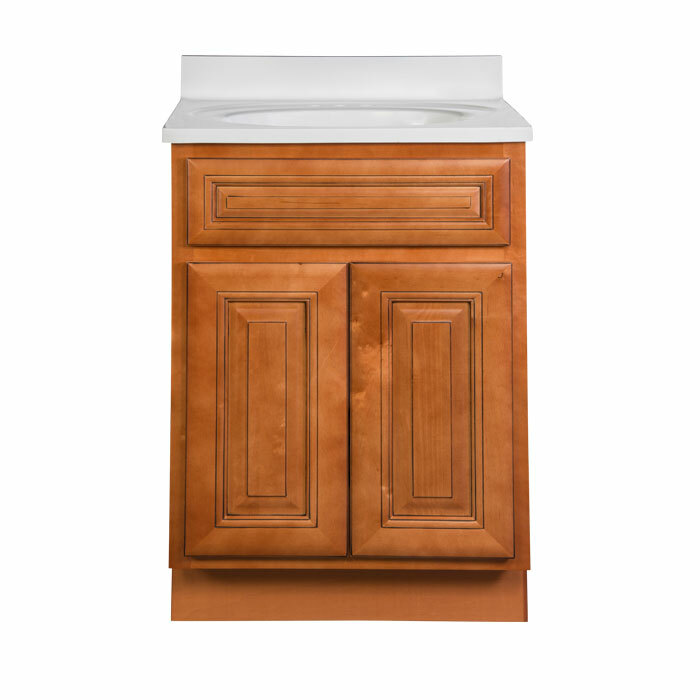 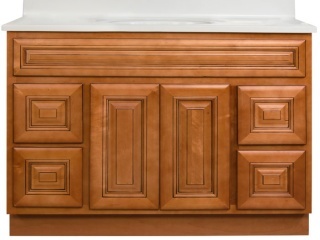 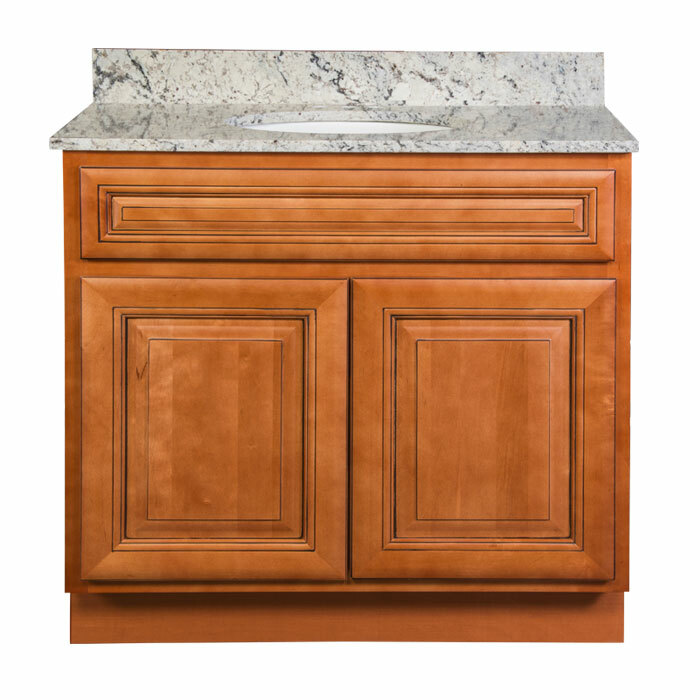 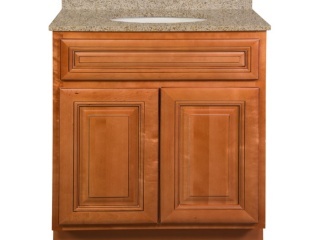 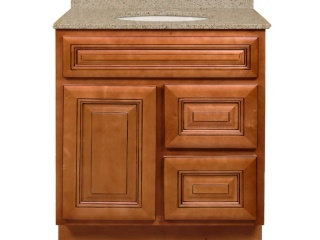 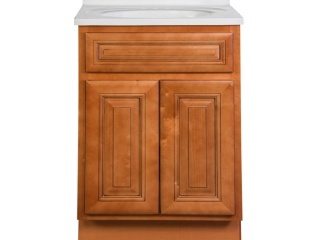 Savannah Sienna Glaze bathroom vanities feature a glazed cherry finish with traditional styling. 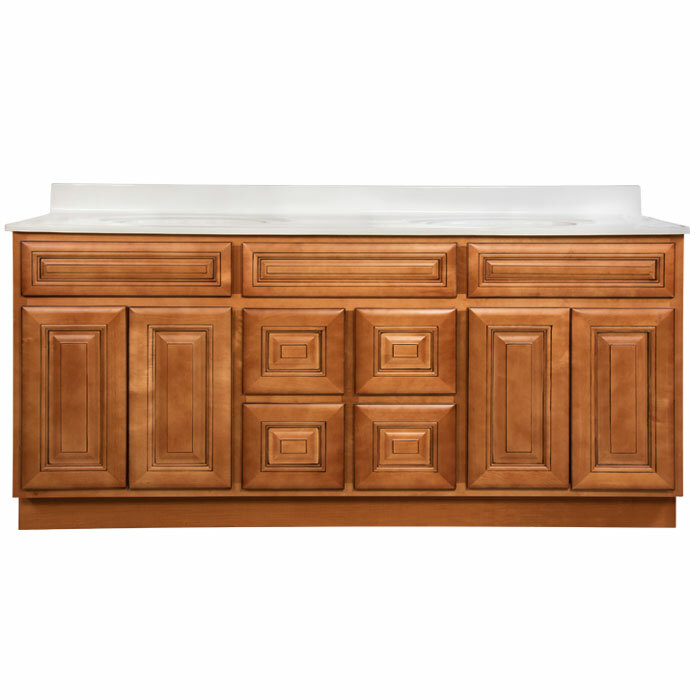 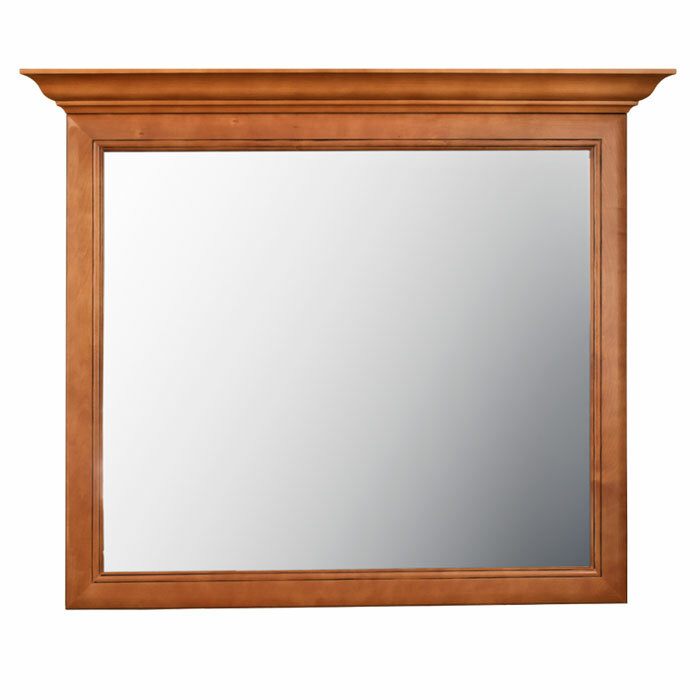 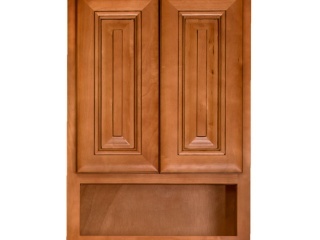 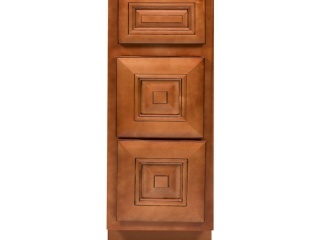 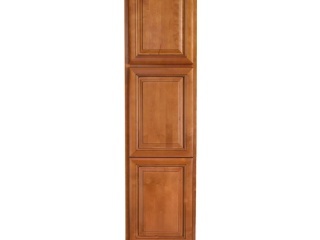 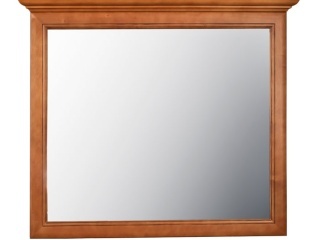 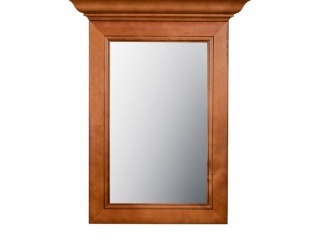 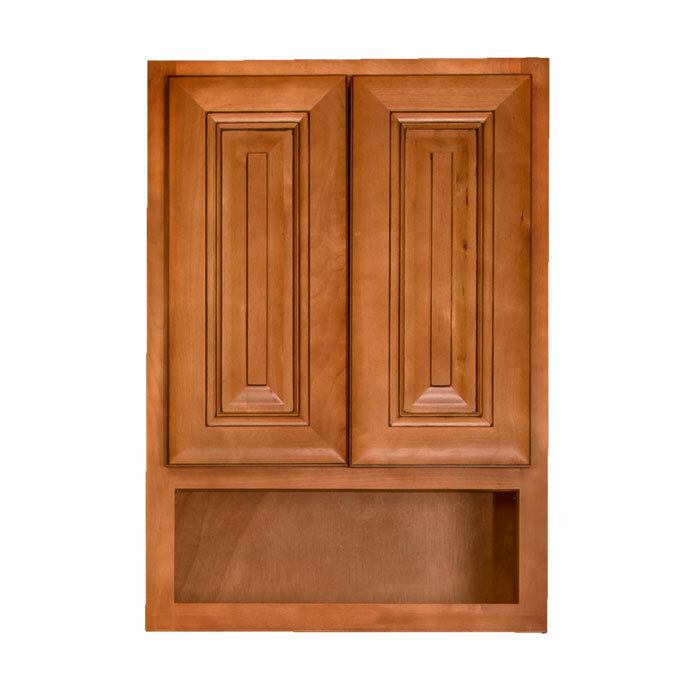 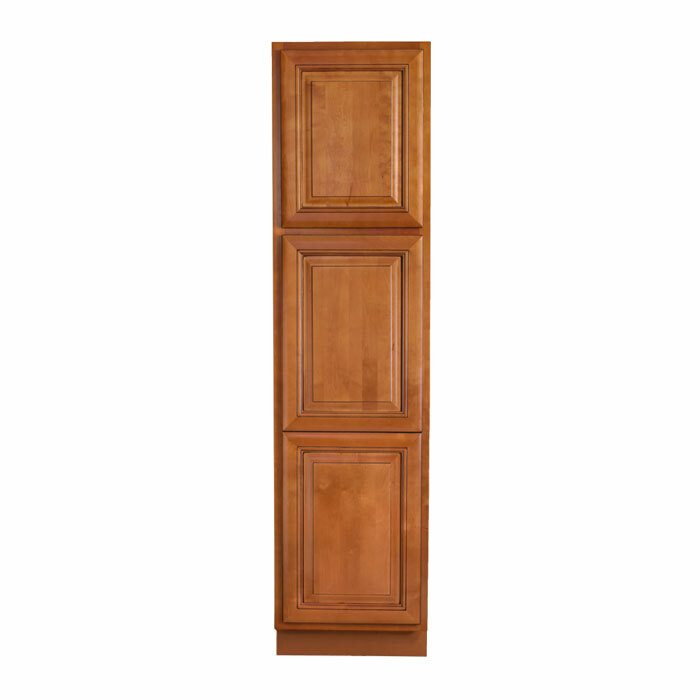 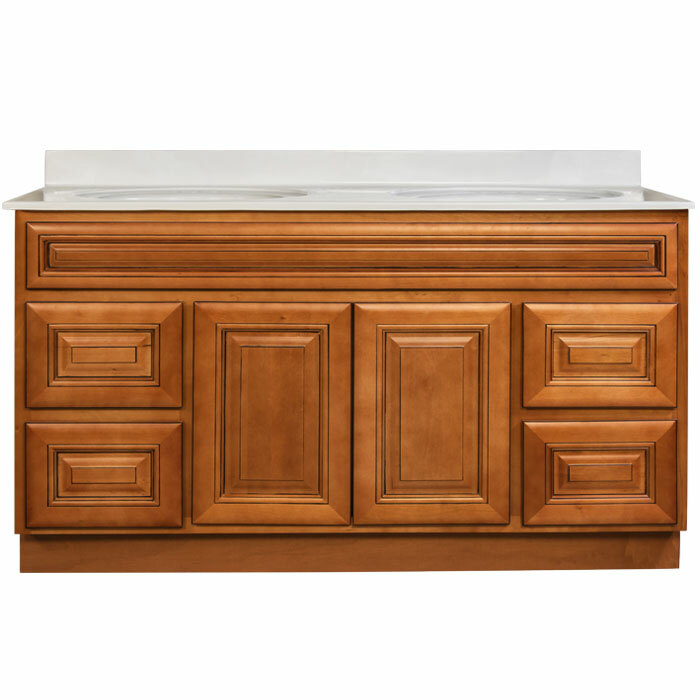 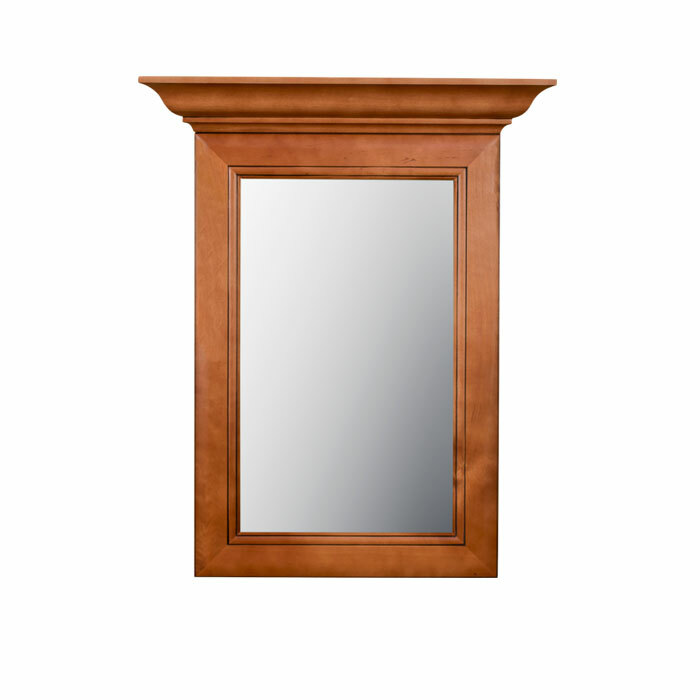 Quality-built with solid wood face frames and doors, miter door construction, and dovetail drawer boxes. 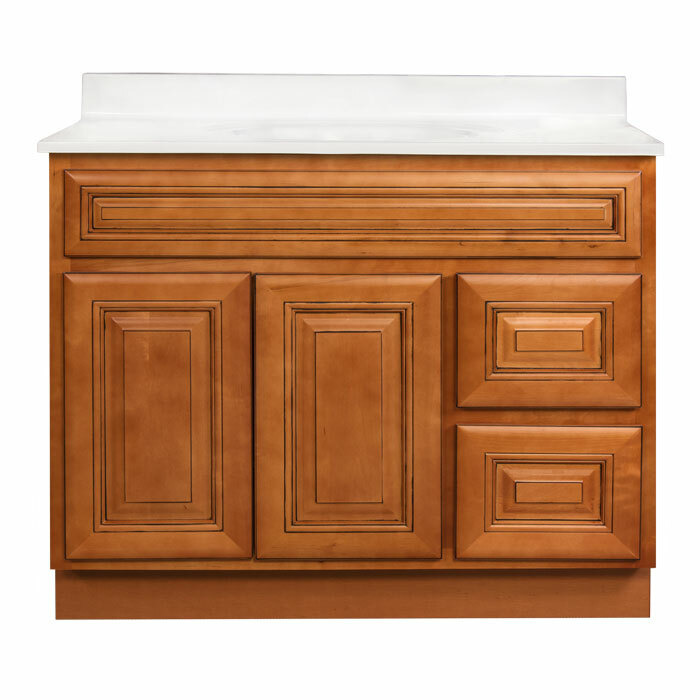 Standard overlay raised panel doors, concealed adjustable hinges, and full-extension drawer glides complete this vanity style. 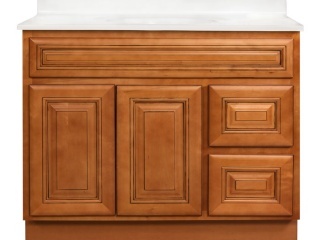 The items below are included in our Savannah Sienna Glaze Vanity Collection.